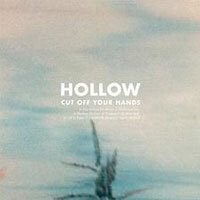 Choosing to bide their time rather than force out a second rate follow up album, Cut Off Your Hands have delivered us a very classy piece of work with their second album Hollow. Moving in a new direction from their widely acclaimed debut, the band have taken some relatively small yet effective turns to claim new territory outside of their high energy, hook based beginnings. Most notably, the band has mellowed out somewhat, not in a lazy or overly mature sense but rather taking a turn from stabbing and stuttering chords to rich, gliding 12-string guitar. Try first track ‘You Should Do Better’, it’s jangly opening chords show immediately the album’s change of tack from You & I. The punky hard edge of the group’s previous work has largely given way to softer, more intricate rhythms and 80’s via the 60’s melodic guitar work. Though, given this shift in temperament, Hollow still sounds very much COYH. The essence of such core influences as The Smiths comes through more than previously, creating a feeling that the real crux of the band hasn’t really shifted at all, they’ve just delivered it to us in a different way. A change in riffs isn’t the only way the group has evolved. The band who once seemed so ever confident and optimistic have, for lack of a better phrase, been brought back down to earth. This is not altogether a negative though, the music may have lost some of its raw and wide-eyed appeal, but they’ve gained an element of real substance. There’s an overwhelming theme on the album of being worn out almost to the point of beat, something which front man Nick Johnston confirms openly in a recent interview with UTR. This notion is written all over the record. From the opening track where Johnston casually admits to being a “used up dead weight” at the feet of his girlfriend, to ‘Hollow Out’, where the slighting remarks “You’ve been hollowed out inside, you’ve been cut down to size” appear most likely to be a reference towards the band themself. The catchy tunes ‘Fooling No One’ and ‘Down & Out’ similarly deal with these issues. There’s something quite admirable in the way they’ve dealt with the probable mindf*ck rollercoaster of being the next best band on the planet to a band well exhausted two years later. Instead of playing catch up with a past image of themselves, they’ve worked with these issues, not only creating a great album along the way but also paving a clear and realistic road forward. Oddly ‘Hollow’ feels less pop centric than the band’s previous work yet is open to appreciation by a much larger audience. This is probably due to the fact that there is very little on the album to disagree with. 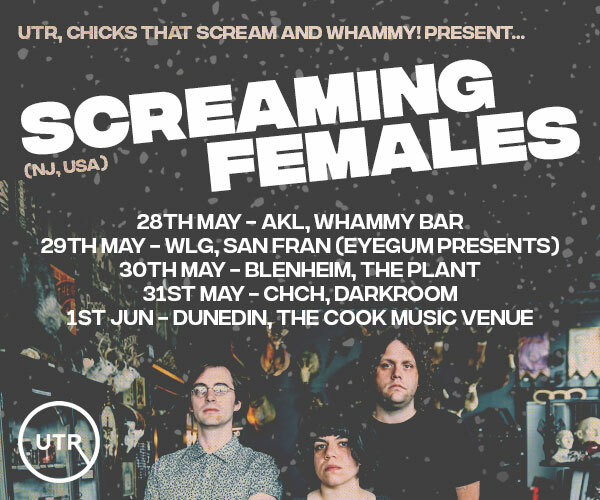 It’s British soaked tone mixed with elements of Kiwi classics like The Mutton Birds for example make it an endlessly enjoyable listen. Production is so clean and warm it is hardly believable for a bedroom recording, plus there isn’t a single filler or dud track on the album. ‘Hollow’ is - regardless of the heights to which the band may aspire - a damn good record which proves a musical talent beyond the comings and goings of the infamous hype machine.